The best marketers know what not to do. A good way to avoid mistakes is to look at the stunning amount of marketing fails that global brands have made over the past few decades. There’s no shortage of failed marketing strategies, which is good for you as a marketer because you can use them to learn and avoid falling into the same traps. We’ve compiled some of the worst marketing fails in recent memory, with tidbits on what went wrong (and why), so that you don’t make the same in your marketing campaigns. These lessons are valuable for all marketers — regardless of industry — in the quest to level up. “Innovate or die” is a big phrase in Silicon Valley. You have to stay ahead of the competition or they will catch up to you and beat you. This does not work for soda. In 1985, Coke decided to test out a new formula. The result, New Coke, became the stuff of marketing failure lore when it turned out that people absolutely hated the release. But most people didn’t actually hate the flavor! In fact, focus groups gave New Coke very high marks, with many claiming it tasted better than the original flavor! But as Coke learned the hard way, it turns out that people don’t always like products for the reason that we as marketers think they do. Even though focus groups said that New Coke had a better taste, people just didn’t drink the stuff because of the place of regular Coca-Cola in American culture. People wanted to drink the same Coke that their grandparents gave them on their birthday, the same Coke that Marilyn Monroe famously touted, and the same Coke Mean Joe Green received in that notorious 1980 Super Bowl Ad. Avowed communist Fidel Castro even joined in on the roast of New Coke, calling the release emblematic of American capitalist decadence. A contingent of people were so furious that they called Coca Cola’s Atlanta HQ en masse. Coke even hired a psychologist to listen in on complaint calls (about 1,500 per day) the company was receiving. He told executives that some callers were so distraught it sounded as if they were discussing the death of a family member. Coke eventually reverted to its old formula. This failure was partially born from Coca-Cola being too good at marketing. Everything about its brand was iconic and beloved that people felt like they were losing a part of something bigger than a brand when Coke tried to change its formula. Gap’s logo from 1986 from 2016 was iconic. The elongated serif letters captured the 90s (the brand’s hay day) perfectly, yet still exuded a sense of classic-ness that seemed timeless, or almost timeless. But for six long days in October 2010, Gap swapped their typeface to sans-serif Helvetica and transformed the navy blue background to a smaller, gradient box to the top and right of a lowercase p. The backlash was so severe that the company reversed its redesign in a matter of days. In the marketing world, that almost never happens. The company finally updated its logo in 2016, but thankfully for their second redesign, they stuck to the original Gap branding. The incident underscores how important implementing good design, hiring great designers, and performing user research is for a business. Gap had an iconic brand that could weather that mishap, but many marketers are introducing consumers to a brand for the first time with their logo and branding. If it’s not good enough on the first impression, the brand won’t get dragged on the internet. It will simply be ignored. Pepsi acutely realized that 2017 was a big year for political activism. What Pepsi didn’t fully grasp is that political activism is predicated on taking direct, authentic stances and that consumers don’t love it when marketers use watered down versions of their politics to prop up a brand. In short, Pepsi made quite an error in judgment in what became one of the biggest marketing fails of 2017. The notorious Pepsi advertisement features groups of young people walking down a street for unclear reasons — holding signs that say ambiguous slogans such as “Join the Conservation” (Which one? We’ll never know) and “Love.” The ad culminates with Kendall Jenner leaving a photoshoot to join a protest where she hands a police officer, who is blocking the demonstrators’ path, a can of Pepsi. He drinks it and he glances at one of his colleagues a “gotta hand it to ‘em, this stuff is pretty good” look as everyone cheers along. Moral of the story: Don’t artificially co-opt social messages into your marketing. Either be sincere and take a concrete stance like Nike recently did with Colin Kaepernick or avoid it altogether. Optics are incredibly important. 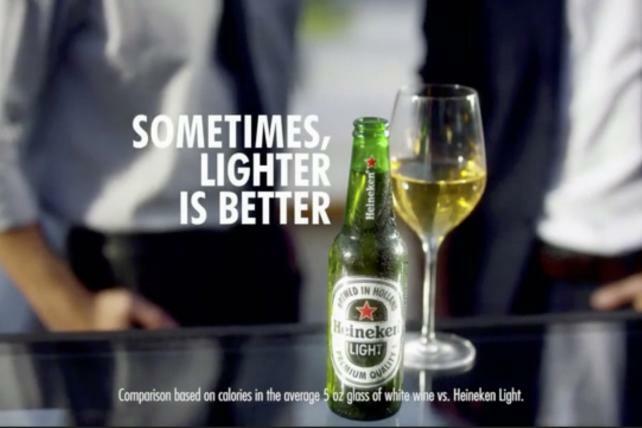 Heineken likely learned this lesson after its “Sometimes Lighter Is Better” ad aired. Right away, things started off sour, given the potential interpretation of the slogan. But you could think, maybe it’s okay because they’re talking about beer, not people? Heineken quickly blows that off in a shot of a beer sliding down a bar. The beer passes exclusively dark-skinned black people before making its way into the hands of a light-skinned woman. Heikenen was forced to take an L from its unforced error and issue an apology. The whole fiasco is a good reminder to keep your marketing team diverse enough to be able to spot issues like this before they go live and your company has to publicly apologize. Burger King has slowly burned its own already flame-broiled brand over the past years with a series of inexplicably odd marketing mistakes and failed marketing strategies. The former heir to the number two fast food throne (after McDonald’s) lost its spot to Wendy’s back in 2012. Today, it’s barely holding a narrow lead ahead of Taco Bell. How did Burger King fall from such great heights? Weird marketing didn’t do it any favors. First off, the company introduced an ad campaign featuring The King, a mascot it previously abandoned in the 80s. 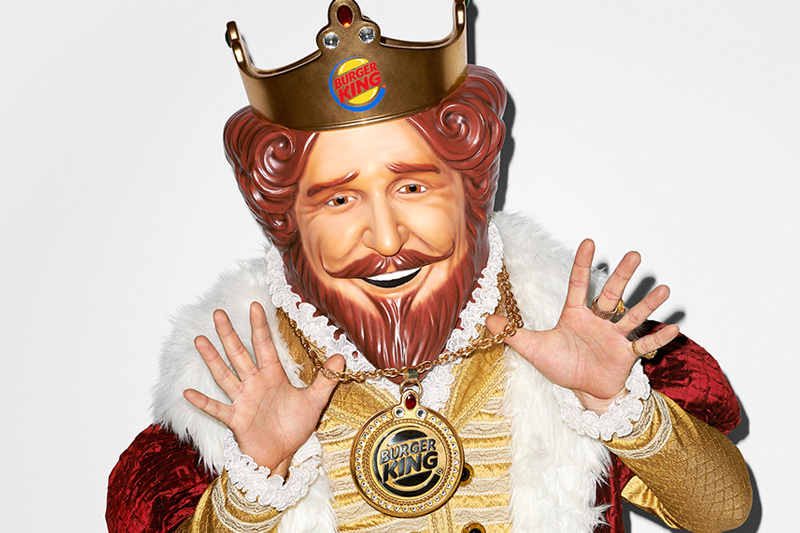 Let’s face it: the King is weird and not appetizing. But then the company has managed to compile its own greatest hits compilation of marketing fails over the past ten years. One 2008 ad featured a lewd, degrading innuendo. And in 2009, Burger King broadcast a bikini-clad woman singing in the shower every morning at 9:30 a.m to promote their new breakfast. If you’re worried about making the same marketing mistakes as Burger King, there’s are a lesson here: Don’t be gratuitously and creepily weird. Again, here’s a lesson for marketers. Don’t advertise off of political unrest. If people are in the streets protesting their government, it’s usually not the best time to introduce your brand into the conversation. “Millions are in uproar in #Cairo. Rumor is they heard our new spring collection is now available online,” they tweeted during the Egyptian revolution, in which at least 840 people were killed. Twitter users quickly roasted the post and called Kenneth Cole out on for its insensitivity. Someone even made a fake @KennethColePR account and taunted the brand repeatedly on social media. Maybe you’re a Kenneth Cole fan. You want to give them the benefit of the doubt. This has to be a one-off thing, right? Usually the phrase “a criminally bad marketing fail” would be hyperbolic, but EA literally broke the law in this epic marketing mistake. The video game company gave away brass knuckles to media outlets alongside advanced copies of the Godfather II video game. Turns out that in many of the states where they shipped the brass knuckles, they’re illegal weapons. With the promotion, the company realized it wasn’t the greatest idea not long after sending the brass knuckles out, and they quickly contacted journalists asking them to send back the brass knuckles. In a way, EA might have sort of still come away with a win. Despite looking incompetent, they generated more buzz around the not-so-hotly anticipated Godfather II game with a marketing mistake than they likely would have otherwise avoided. The result? Ultimately, the game was considered a commercial failure, selling only 400,000 copies. Facebook’s brand has taken a few massive hits over the past year with the Cambridge Analytica scandal and a new scrutiny on their privacy policies. But the company’s unenforced errors haven’t slowed the punches. 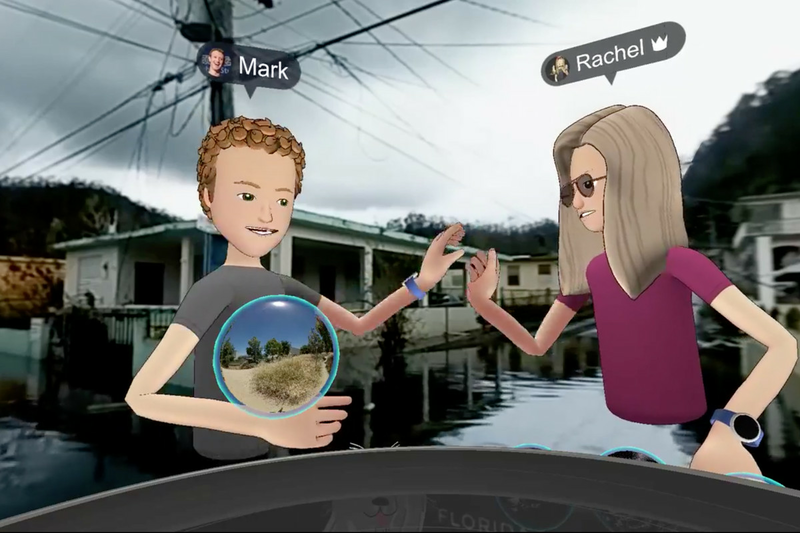 One particularly bad moment for the company came in 2017 when CEO Mark Zuckerberg and Facebook’s Head of Social Virtual Reality, Rachel Franklin, used VR to virtually visit Puerto Rico after it was still recovering from Hurricane Maria. The move was oddly voyeuristic but probably still acceptable. That was until they decided that they needed to beam goofy, cartoon avatars of themselves walking through the ramshackled island. “One of the things that’s really magical about VR is you can get the feeling you’re really in a place,” said Zuckerberg as his grinning avatar walked over flooding and buildings that had been struck by the storm. Zuckerberg said that the purpose of the broadcast was to communicate empathy, but his excitement over the VR technology, rather than on the somberness of the scenes he digital walked through, made it feel exploitative. He learned the hard way that if your brand ever interacts with a tragedy, your brand does not come first. Screenshots of the bizarre broadcast now creep back up everytime Facebook makes a public mistake, as an example of how the company doesn’t think about how the platform affects people. Whether it’s true or not, the impression is there, and Facebook can’t put the toothpaste back in the tube. The effects of a public mishap can have irreversible consequences for your brand. 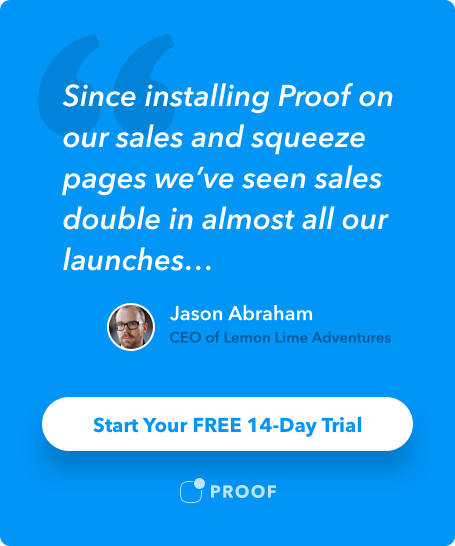 We hope you’ll learn from these weird and funny marketing fails in 2019 — and use the knowledge to avoid making the same errors in judgment.